Of course, you love your dog and love spending time with them. There should be no reason for you not to want your dog to show you affection and be close to you. Unfortunately, bad dog breath can have exactly that kind of effect. A dog with smelly breath is off-putting to owners and visitors. 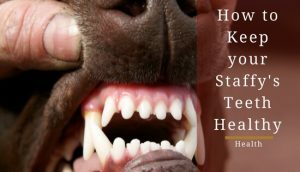 More importantly, it can be an indicator or oral health issues that could pose problems to your dog’s health. 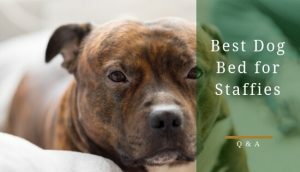 This article will give you the information you need to understand why your staffy has bad breath and how you can get rid of it. 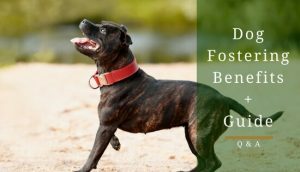 All too often, dog owners see “dog breath” as the norm or put it down to a dog simply being old. Neither of these is an excuse and a dog should not have foul smelling breath. Sure, it may smell a bit like their food at times but it really shouldn’t be bad all the time. The most common cause of bad breath in dogs is poor oral health. Like people, your Staffy needs regular oral health care. If they don’t receive it, plaque and tartar can build up on their teeth and gums. If this occurs, your dog can experience gum disease and tooth decay just like us humans can. When these issues are left untreated, bacteria will build up inside the mouth and causes bad breath. A second possibility is something your dog has eaten. Like most breeds, a Staffordshire bull terrier is often tempted to eat everything in sight. This can include foods with a strong odour and even products that are not meant to be eaten such as toxic substances. 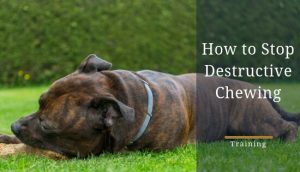 If your dog's foul breath occurs suddenly, or if it is occasional rather than consistent, consider the possibility that they may have chewed or swallowed something they should not have eaten. Some dog foods can even cause bad breath. A third possibility is an underlying medical issue. Some health conditions can have can affect a dog’s breath. Conditions that can have halitosis as a symptom include liver disease, kidney disease, and diabetes. While all these medical issues can be serious, halitosis can also be a symptom of cancer. Cancer can occur in the throat, nose, or ear, as well as in the mouth. 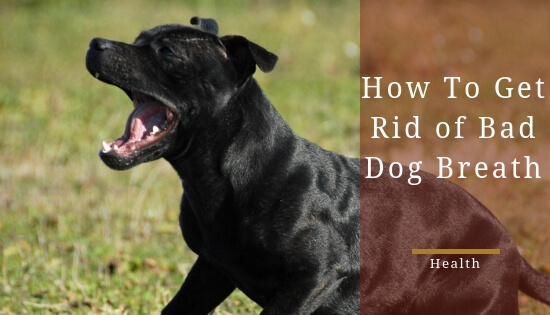 The likelihood is that the problem is simply oral hygiene but it is worth noting that a more serious problem could be underway, which is exactly why bad dog breath can’t be ignored. 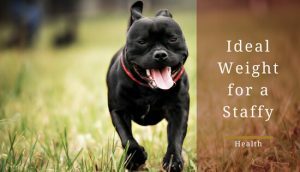 If your Staffy has not had a check-up within the last six months, make an appointment with your veterinarian. You do not want him to have the risk of accidental poisoning or a life-threatening medical condition. A trip to the vets should always be the first course of action when it comes to your pup’s health. If an examination and tests show he is otherwise healthy, you can take other steps to treat his halitosis. Before you go out and buy any specialised products for eliminating bad breath, consider some important lifestyle changes first. Ask your vet to recommend a high-quality dog food that reduces your pet's risk of halitosis. Do not give him foods with strong odours and, obviously, keep items he should not chew out of his environment. Like you, your dog should have its teeth examined and cleaned professionally on a regular basis. Your vet may provide this service. If not, they will be able to point you in the right direction. When you make oral care a part of its everyday life, your beloved pup will have healthier gums and strong teeth. Good oral health can mean fresher, cleaner breath. Make time for it in your schedule every day. 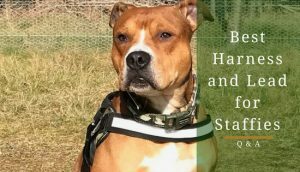 While the emphasis should be on the underlying cause of halitosis, your staffy can benefit from extra help and enjoy it, too. 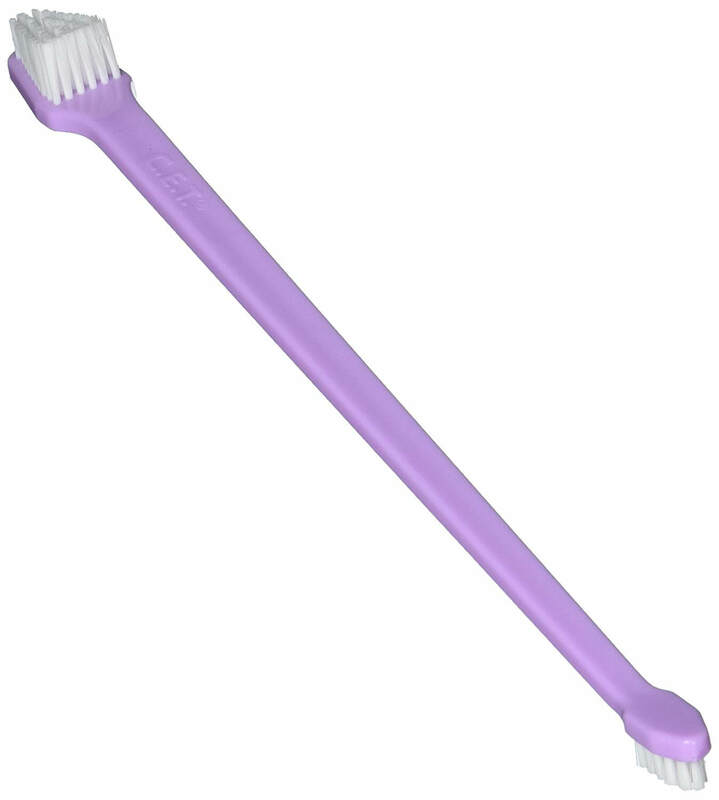 There are many products designed to sweeten a dog's breath and give him a bit of a treat at the same time. 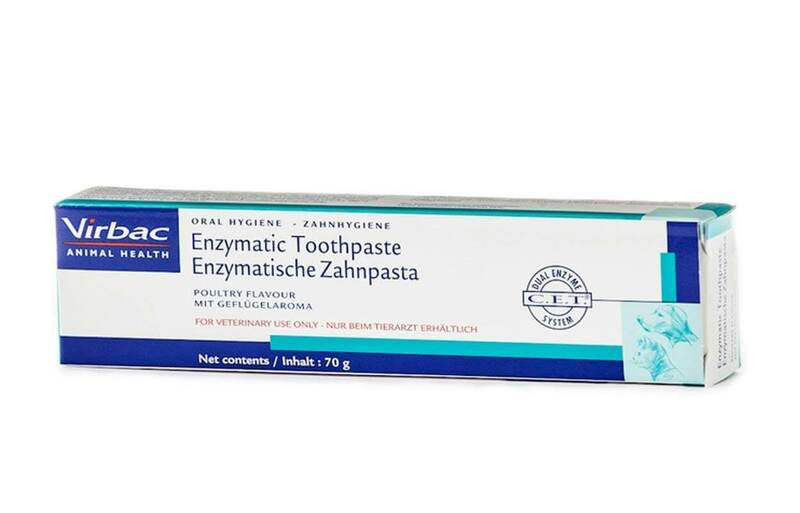 You can use these to help with cover the bad breath but they aren’t a replacement for finding and solving the actual cause of it. Dog breath spray is a popular example. You can freshen up your dog’s breath with a simple with a little spritz of spray. More importantly, good quality sprays do not simply mask odour, but can help to improve a dog's oral health as well. 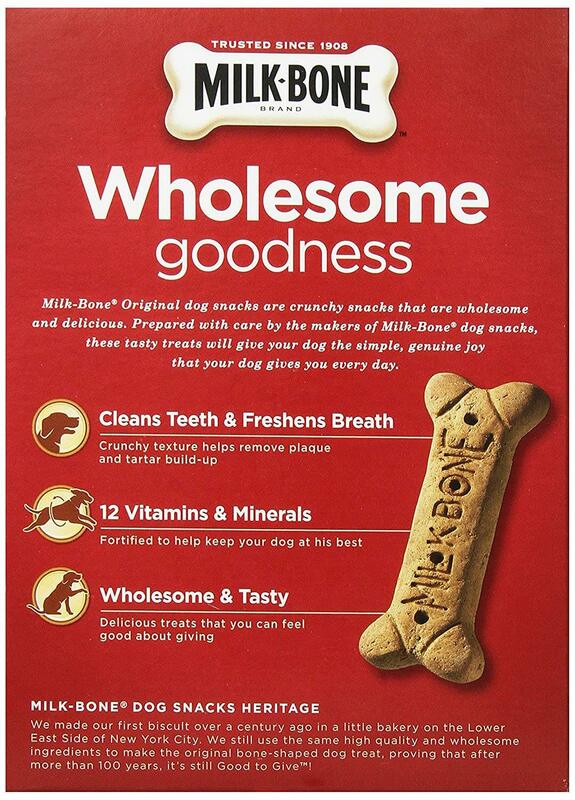 Alongside the sprays, you can use biscuits and chews that have been specially designed to clean a dog’s teeth and promote fresher breath. 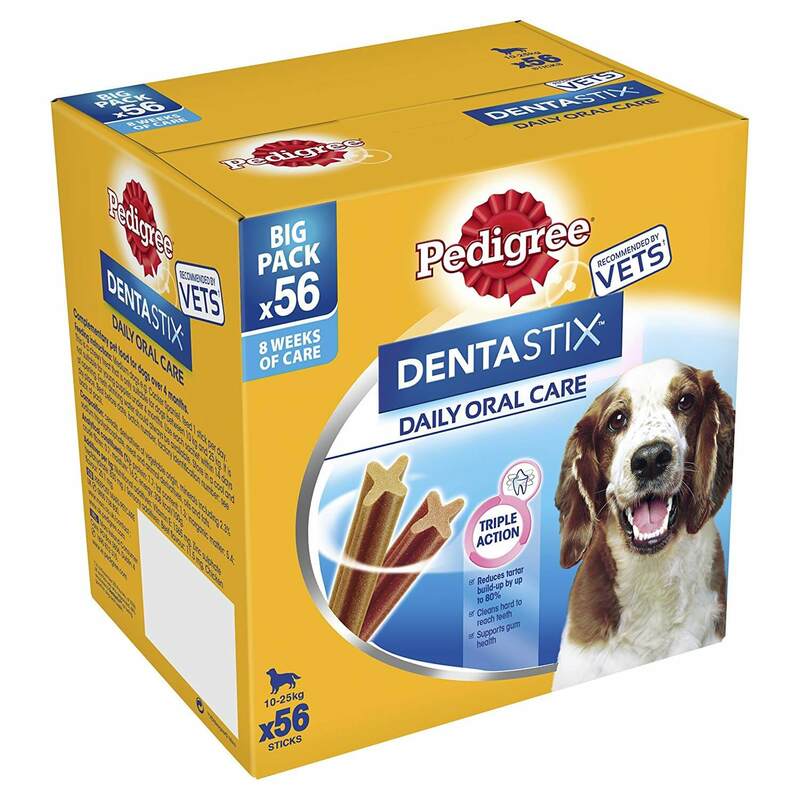 These are great because they act as a treat for your dog while they go to work and promote better oral health. 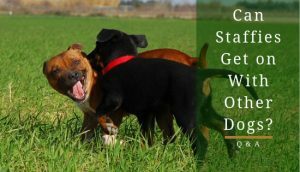 Whether your dog's halitosis is simply bothersome or you are seriously worried about their health, there is always a solution. 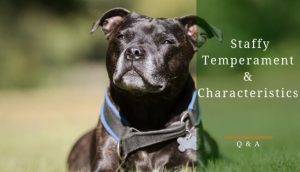 When you determine the reason for his problem, it is much easier to deal with so work to get it sorted as quickly as you can; both your beloved staffy and your sense of smell with thank you for it.